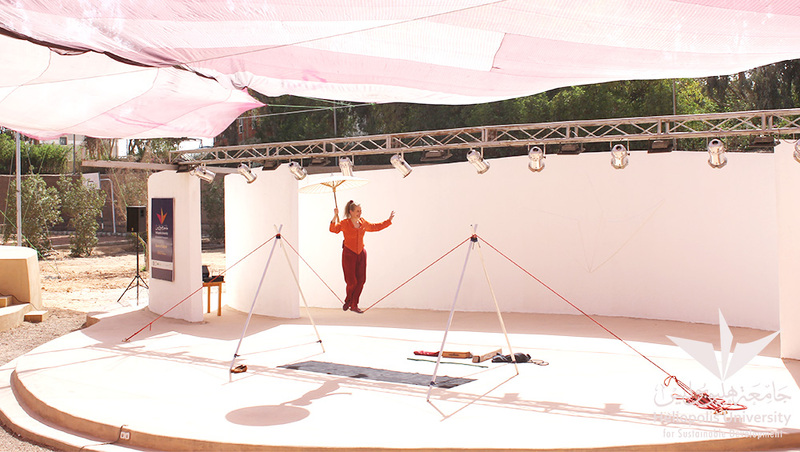 With her shiny smile, Masha Dimitri showed up on the stage of Ibrahim Abouleish Theater busy setting up her slack wire. From the very first moment, she could capture the attention of her audience with her magical style of story-telling. She could connect the first story with the last one through exciting incidents and breakneck acrobatic performance on the slack wire. 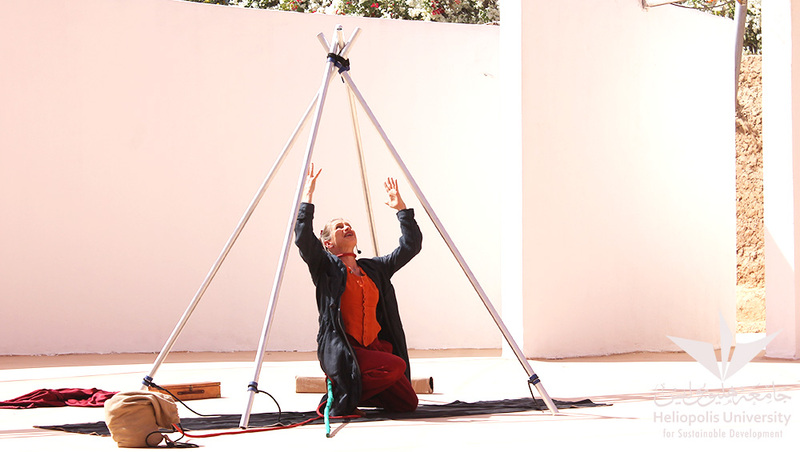 Born in 1964, the Swiss artist started her professional artistic education at the age of 15 at the National Circus School in Budapest, with the slack wire as her area of specialization. 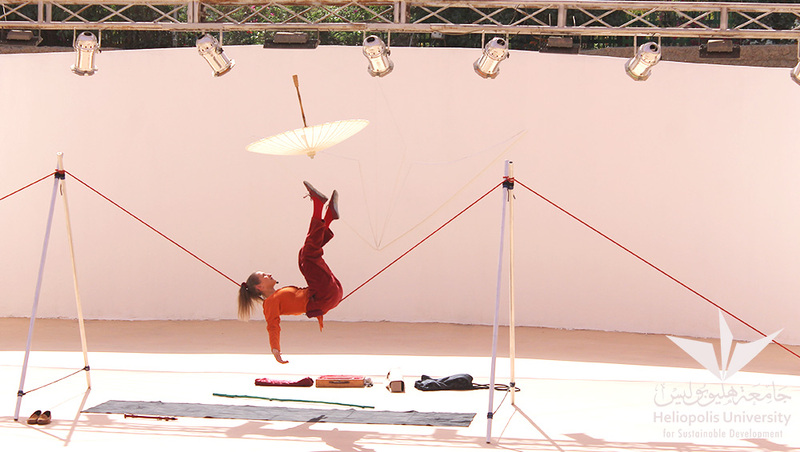 After two years, she transferred to the Scuola Teatro Dimitri where she studied theater and continued her training on the slack wire under the guidance of Szilard Székely.